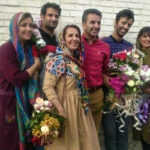 Human Rights Activists News Agency (HRANA) – Pezhman Shahriari and Mahboob Habibi, two Baha’i residents of Shiraz who were arrested by security forces on August 17th and detained in a Shiraz Intelligence Detention Center known as Plaque 100, have been released pending their court hearings. 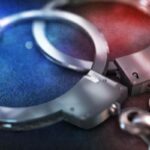 As of the date of this report, no details were available about their charges. HRANA previously reported on the coordinated arrests of Baha’i citizens Koroush Rouhani, Dorna Isma’ili, Hooman Ismaeili, and Negar Misaghian by Shiraz security forces. All were released later that day but Kourosh Rouhani, who was released on bail 37 days later. On Sunday, September 16th, HRANA reported on the arrest and transfer to Shiraz Intelligence Detention Center of five other Baha’i residents of Shiraz: Noora Pourmoradian, Elaheh Samizadeh, Ehsan Mahbub-Rahvafa, and married couple Navid Bazmandegan and Bahareh Ghaderi. UPDATE: Hooman Khoshnam was released from prison on bail on October 29, 2018. 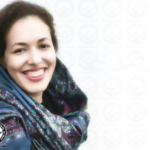 Human Rights Activists News Agency (HRANA) – Hooman Khoshnam, a Baha’i resident of Karaj, became the sixth Baha’i citizen to be arrested by Ministry of Intelligence security forces in the city on September 25th, 2018. In addition to arresting him, security forces also sealed the door to Khoshnam’s workplace. 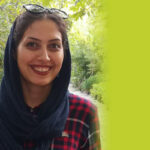 Khoshnam’s arrest is the latest in a series intensified persecution of Baha’i citizens, thus far affecting 20 citizens in Karaj, Shiraz, and on the outskirts of Isfahan. Before Khoshnam’s arrest, Payam Shabani, another Baha’i resident of Karaj, was arrested by security forces only one day earlier on September 24th. HRANA also reported on the arrest and transfer to Evin Prison of four other Baha’i Karaj residents on September 16th: Peyman Maanavi, Maryam Ghaffaramanesh, Jamileh Pakrou, and Kianoush Salmanzadeh. HRANA reported on the arrest of six Baha’i Shiraz residents on September 15th and 16th: Sudabeh Haghighat, Noora Pourmoradian, Elaheh Samizadeh, Ehsan Mahbub-Rahvafa, and married couple Navid Bazmandegan and Bahareh Ghaderi. HRANA also covered the arrests of eight Baha’i residents of Baharestan, a newly-built city about 18 miles south of Isfahan, on September 23rd and 24th. The detainees were Saham Armin, Afshin Bolbolan, Anush Rayneh, Milad Davardan, Farhang Sahba, Bahareh Zeini (Sobhanian), Sepideh Rouhani and Fuzhan Rashidi.